Humble yourselves, therefore, under the mighty hand of God so that at the proper time he may exalt you, casting all your anxieties on him, because he cares for you (emphasis mine). Know what I read from that? We can cast our “layers” onto Him—but not just because He says that we can. We can do this because He cares for us. Like Samson, however, it requires humility. We have to be willing to sit there, patiently, trusting our Master to give us the needed trim, knowing He really will take those anxieties—if we have the faith and courage to cast them on Him. How about you? Have anything pressing on you that you really want to take off? Walking around with a yet-undefined heaviness stealing your joy? The Good News in Jesus is that we don’t have to shoulder these things. He not only took care of them on the cross (“It is finished” of John 19:30), He continues to offer Himself as a place to lay our burdens down. If you’re like me, then even once you’ve dropped those negative emotions down, you have a void. You start to miss your layers, even though they were dragging you down. After all, you were fairly intimate with and dependent on them. You used to take them out to dinner, buy them some nice jewelry once in a while, and even bring them to social functions. 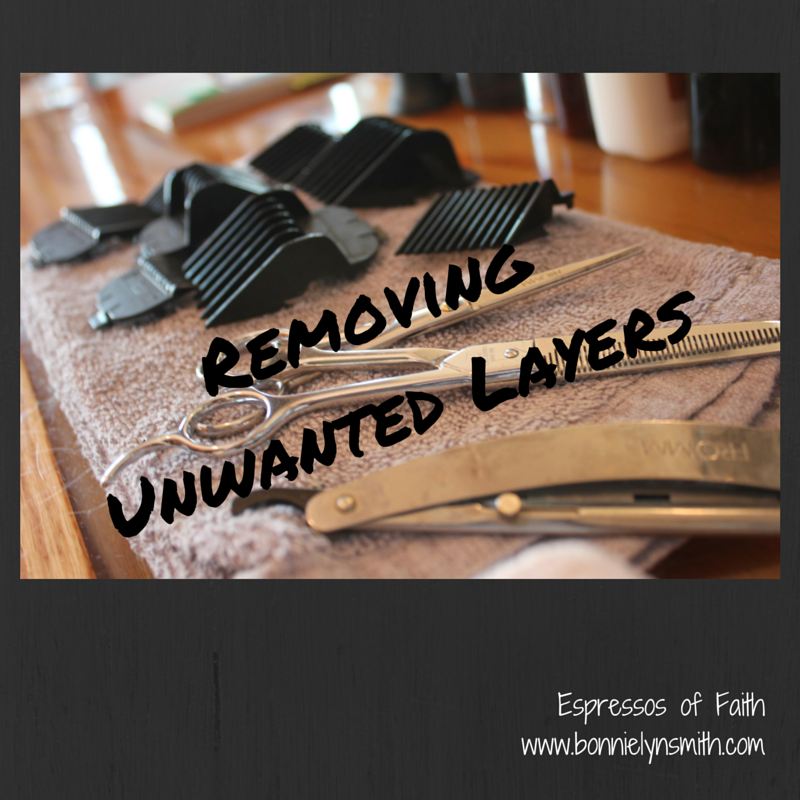 What do you do when your layers are shed? When you now feel exposed? Thankfully, the Apostle Peter told us which layers to put on; these are the very ones that keep the destructive layers away. For whoever lacks these qualities is so nearsighted that he is blind, having forgotten that he was cleansed from his former sins. Therefore, brothers, be all the more diligent to confirm your calling and election, for if you practice these qualities you will never fall (emphasis mine). Oh man! That’s awesome, isn’t it? Don’t those sound better than fear, worry, discontent, and envy? Why exactly is it that these layers are ours for the taking if we’ve believed in Christ? Um, yes! If we are already forgiven by believing what Christ did on the cross for us, we truly have no more business hauling around the negative layers. If we believe this, that’s half the personal battle. So, what’s the reason we should believe this and live in the freedom of the beautiful layers bought for us with the cross? If we’re already forgiven by believing what Christ did on the cross, we have no business hauling around the negative layers of our lives. It’s getting closer to Fall weather here in New England. Temps are going to drop. By November, Samson the Shih Tzu may want a sweater. It can get chilly when we drop our old layers. We now need something to replace them. We’ve been given the means to be “effective” and “fruitful” in the knowledge of our Lord Jesus Christ. That’s a long way from overwhelmed and heavy-hearted, isn’t it? If you want to put down your burdens, don’t forget to pick up the promises of good qualities that replace them. It’s the only way to keep that tangled, thick, hot hair from growing wild from you again like Samson. Experience the beauty of layers of faith. Why those? 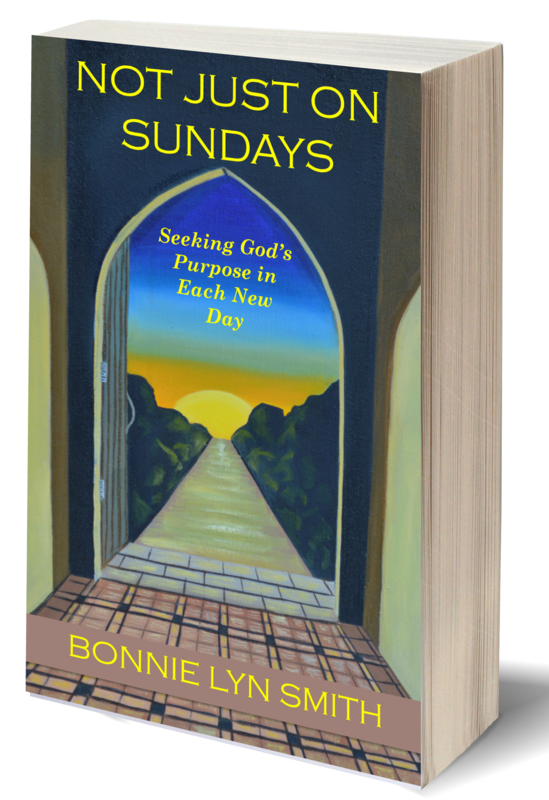 Because those are what lead you out of captivity and into freedom—a freedom to love others with brotherly affection, one that helps them to also drop unwanted, destructive layers and walk in the beautiful Light of the victory won at the cross. Layers of faith enable you to bring good news to the poor, bind up the brokenhearted, and proclaim liberty to captives. I’d give up my old layers for that any day of the week. #Isaiah61_1 …the LORD has anointed me to bring #goodnews to the poor…to bind up the #brokenhearted, to proclaim #liberty to the #captives. Oh Bonnie, huzzah!! What a great post! And then, what great insights you brought forth. I just loved the idea of casting our *layers* on Him! What a great concept. Adds so much more meaning to the thought of just giving Him our worries and concerns. For yes, there are so many other things that entrap us in our “wooliness.” I was reminded of one of my very favorite scenes from C.S. Lewis’ “The Voyage of the Dawn Treader” – the bad boy, Eustace, turns into a dragon. And only by yielding himself to the painful, but healing, ministrations of Aslan, can he finally return to being a boy. It is God who must do the shearing, and we must allow the difficult work to take place. Just like Samson, shedding a few (or a lot) of our layers is the only way to run free!! Oh what a lovely scene to remember! I love the parallel you share here, Sharon! Wooliness is such a great way to put it! I always learn something new and beautiful when you stop by and engage with a post, Sharon! Blessings! I love the name of your dog! And I love your admonition here. Dropping layers leaves us feeling exposed and vulnerable. It’s so much easier (so we think) to pick those layers back up and put them on again. Kind of like bad habits! Your list of virtues to put on is just perfect. Hooray for Peter! 🙂 Thank you for writing this. And thank you for stopping by my blog a while back and leaving a comment. I replied to it there. Thank you, heavensmiling! I really appreciate you coming by here! You are so right about how vulnerable we feel. It can be very difficult to do, but at least the Scriptures give us beautiful layers of faith to replace our old layers with. Blessings to you!